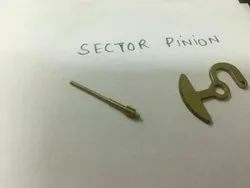 Offering you a complete choice of products which include precision worm gears, mini gears, fine pitch gears, precision small gears, precision gears and precision spur gears. Swadeshi manufactures Precision Worm Gears for various instruments as per the requirement of our customers. Though we make the products as per the drawing or sample provided. However, we also have a range of some standard products which can be useful to many of our buyers. Our organization is counted among the most prestigious manufacturer and supplier of small precision worm gears. With rich industry experience and knowledge, we are engaged in offering an exclusive range of Fine Pitch Gears. The offered fine pitch gears are designed by using premium quality material and advanced tools in accordance with set market norms. In order to accomplish the diversified demands of our esteemed clients, we are deeply engrossed in offering a wide variety of Precision Small Gears. The offered gears are designed with the use of optimum grade material and modern tools in compliance with set industrial norms. 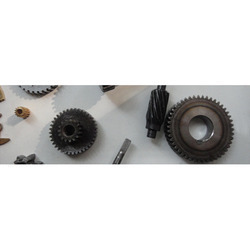 The offered gears are provided with various specifications to choose from. These gears are easily available to our customers at pocket-friendly rates. With the assistance of our dedicated professionals, we are deeply engrossed in offering a wide range of Precision Gears. The precision gears offered by us are manufactured by using basic material that is taken from most reliable sources in the market and as per the set market norms. 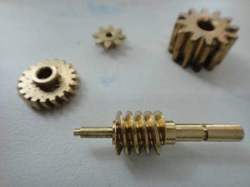 These precision gears are applicable in several industries for its quality. 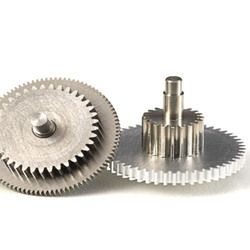 Our honored customers can take these precision gears as per their requisites in various sizes. Backed by a team of highly devoted professionals, our organization is offering a wide range of Precision Spur Gears. The offered precision gears are developed with the help of finest quality material and advanced tools under the management of accomplished professionals. We at Swadeshi manufacture Rack Pinion for the various non-automotive application like vernier calipers, height gauge, and dial indicators. The materials are brass and stainless steel for rigid performance. We are offering High Precision Gear to our clients.